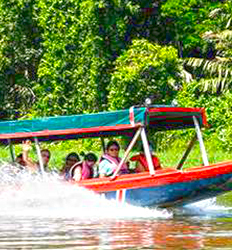 As you navigate the canals of the Tortuguero National Park, you will quickly realize why Tortuguero is fondly referred to as “The Amazon of Costa Rica”. If you are a nature lover looking for a destination off the beaten path in Costa Rica, Tortuguero National Park definitely fits the bill. Most the “paths” in Tortuguero National Park are actually an elaborate circuit of canals of varying sizes winding their way through the mangroves that stretch over 77,000 protected acres. Parque Nacional Tortuguero is aptly named for the area that boasts one of the largest Green Sea Turtle nesting grounds in the world. If you are looking for a memorable lifetime experience, you can witness the Baula (Leatherback Turtles), Carey (Hawksbill Turtles) and the Verde (Green Sea Turtles) who come to the shores of Tortuguero beaches to lay their eggs. Another special treat is when the baby sea turtles hatch out and instinctively run their tiny little bodies to the sea under the cover of night. A very special experience in Costa Rica that should not be missed. Tortuguero is not all about the sea turtles, wildlife in general is abundant thanks to both the natural protection of Tortuguero's ecosystem and the government protection of the National Park. The Tortuguero canals themselves are home to caimans, crocodiles, fresh water turtles, several species of fish and even manatees. On the canal banks, you can spot 3 different species of monkeys, sloth, reptiles such as Costa Rica’s famous poisonous frogs, Basilisks (Jesus Lizards), and maybe even the elusive Tapir. Bird lovers don’t forget your binoculars, you can find well over 300 species of birds in Tortuguero National Park. Although you can get a taste of Tortuguero Canals on a One Day Tour, we recommend you immersing yourself for a 2-3 day adventure in Tortuguero National Park for the best experience. Our multi-day Tortuguero excursions depart from San Jose, Arenal, and Puerto Viejo and provide transportation to your next destination. 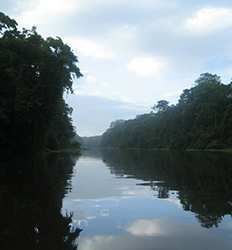 This makes our Tortuguero tours one of the best deals in Costa Rica! Formally a chain of volcanic islands, the Tortuguero National Park is a perfect location for green and leatherback turtles to nest and for baby turtles to make their first trek into the ocean. No roads to Tortuguero means it is only accessible by boat, and the remote location keeps the rainforest virtually untouched. Tortuguero Costa Rica 2 Day Expedition deposit is $25.00 per Adult with the Economic Package and $30.00 per Adult with the Standard Package. Tortuguero Costa Rica 3 Day Expedition deposit is $35.00 per Adult with the Economic Package and $40.00 per Adult with the Standard Package.